Mr Guaidó has demanded the immediate release of his chief of staff Roberto Marrero, whose whereabouts are unknown. The nearby home of opposition legislator Sergio Vergara was also raided. He was not arrested. The operation could signal a crackdown on the opposition by embattled President Nicolás Maduro. 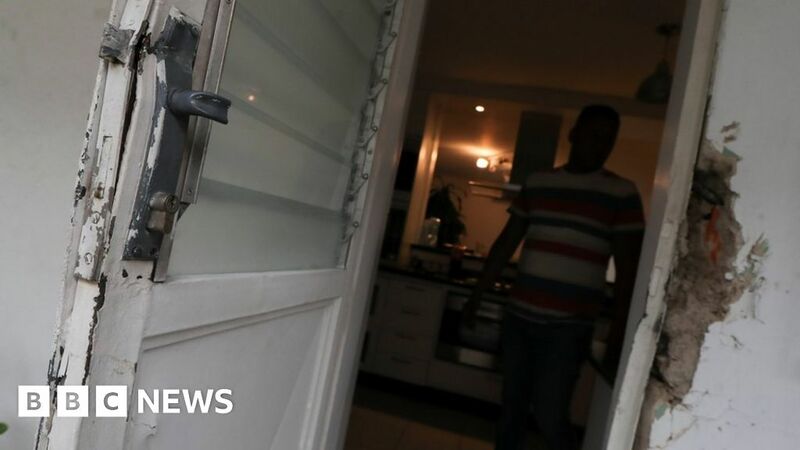 On Twitter, he said Mr Marrero had been "kidnapped" and that "Two rifles have been planted" at his home's home during the raid at about 2:00 am local time (6:00 GMT). Mr. Vergara, who lives in the same building, said more than 40 heavily armed officers from intelligence agency Sebin took part in the raids on the two apartments. Mr Vergara added that his driver had also been detained. Venezuela's Information Ministry has not commented. 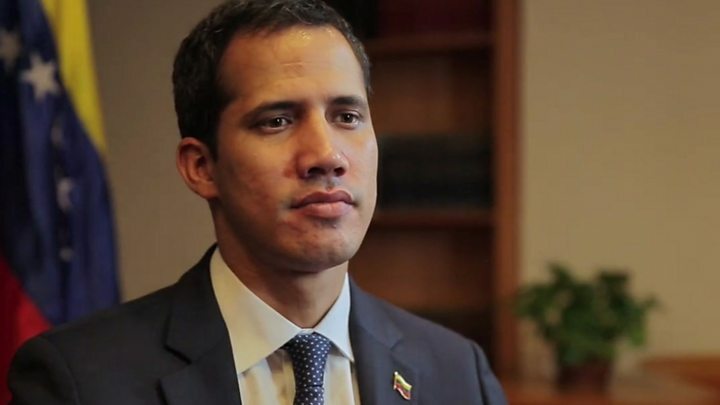 Media caption Juan Guaidó speaking to the BBC last week: "We want genuinely free elections"
Last week, the chief prosecutor said it had asked the Supreme Court to investigate Mr Guaidó for allegedly abusing the country's electrical system in the wake of this month's power cuts. Mr Guaidó has been recognized as leader at more than 50 countries, including most in Latin America and the US. Mr. Maduro, who still has the support of China and Russia, accuses the opposition of being part of a US orchestrated coup.